Hugh Skinner is a charming character actor who is gradually working his way to the top in the ever competitive entertainment industry. An avid theatergoer, Skinner began his acting career on stage but has now played a good number of popular characters across the small and big screen. This has made him more popular with the increasing number of his admirers wanting to know more about him. Anyway, here’s an insight into the life and career of the stage and screen star. An ultra-private public figure, details regarding Skinner’s personal life has been quite a mystery. While we may not have all the answers to all the frequently asked questions about the British actor, here are some facts. Hugh William Skinner is a London native born on January 6, 1985. Information regarding his parents and family have not been made public knowledge. Hugh lived briefly in Perth Australia until he was four; this was when his family returned to the U.K. Raised mostly in London and Tunbridge Wells, Hugh attended Eastbourne College and later the London Academy of Music and Dramatic Art. The British actor does not have an active social media life. According to Skinner who prefers to live a private life away from party circuits and paparazzi, he wouldn’t want to get obsessed with people’s unsolicited views and ‘likes’ on popular social media handles such as Instagram and Twitter. Hugh Skinner has an air of mystery about him because he has shielded details of his love life away from the public. More so, despite having been a love interest in some of his roles, the actor has not been romantically linked to anyone in real life since he came into the limelight. Consequently, there have been speculations that he is secretly married or gay. 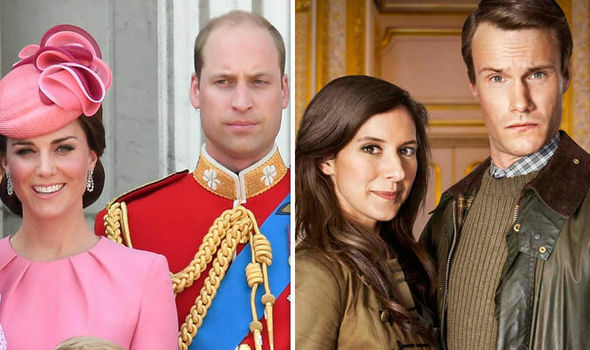 Given that The Windsors star has not gratified the rumors with either a confirmation or denial, his love life remains a mystery until he decides otherwise. Inspired by movies such as Mr. Bean, Ace Ventura: Pet Detective, and Edward Scissorhands, Hugh kicked off his acting career shortly after graduation in 2006. He began on stage with a role as Kit in the 2007 production French Without Tears at the English Touring Theatre. That same year, Hugh followed up with other stage works such as Rifles by Senora Carrar and The Enchantment. The next year, he landed a role as Felix Clare in the BBC film adaption of Tess of the d’Urbervilles. He also played the role of Lionel in the 2010 mini-series Any Human Heart. Hugh Skinner gradually established his talents on stage, as well as on the small and big screens. A major breakthrough for him was a role as Joly in the 2012 hit musical Les Misérables. From 2013 until 2014, he portrayed the character Luis in the stage production of American Psycho. Also, between 2014 and 2017, the British actor played the recurring role of Will Humphries in the BBC TV series, W1A. In 2016, he joined the cast of The Windsors portraying the character Prince Williams in the sitcom which parodies a bizarre version of the British Royal Family. Skinner is also renowned for his role as Young Harry Bright in the 2018 musical, Mamma Mia! Here We Go Again! which is a sequel to the 2008 film, Mamma Mia! where Colin Firth originally played the older version of his character. Hugh Skinner’s other notable roles include a resistance officer in Star Wars: The Last Jedi, as Erik in the film Hampstead which were both released in 2017, and as the protagonist’s boyfriend Harry in Phoebe Waller-Bridge’s tragicomedy, Fleabag. He has also appeared in comedy shows like Poldark, Our Zoo, and Harlots. 1. There are lots of people who Skinner looks up to in the industry. Some of whom are Julia Davis, Gene Wilder, Andy Kaufman, David Lynch, and Kim Noble, amongst others. 2. Hugh Skinner is often mistaken for his colleague Matt Smith of The Crown. 3. Skinner has successfully portrayed other versatile roles, but if his filmography is anything to go by, then the character actor has seemingly been typecast as ‘Wills’ and ‘Harrys’. It, however, doesn’t stop Skinner from stretching his acting talents. 4. Hugh Skinner once admitted that playing the younger version of Colin Firth in Mamma Mia was quite scary and intimidating because he felt inadequately fit for the challenging role.